7 Day Slimming Pills is another diet product that promises to help you lose 20lbs in just 7 days! It is a non-prescription, herbal-based diet pill which will help your body lose its excess fat, get rid of its stored toxins and get back its energy and vitality. 7 Day Slimming Pill contains two kinds of ingredients: fat burning and detoxification ingredients and offers a double action for successful weight loss. Ingredients that Burn Fat: Cayenne Pepper, Grapefruit Seed and Apple Cider Vinegar are the main fat burning substances in 7 Day Diet Pill. These are substances that can raise the metabolic rate of the body, increase its energy levels along with its fat burning ability. 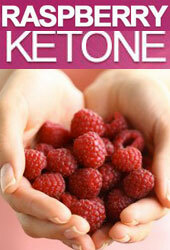 It has been estimated that the fat burning ability of the body can increase by approximately 78%. Ingredients that Can Detoxify: The majority of ingredients contained in this pill have detoxifying effects. These substances can cleanse your body by eliminating the harmful toxins and the excess waste material that is stored in the small intestines. Toxins are very harmful as they can affect your health and reduce the metabolic rate of the body. 7 Day Slimming Pill also contains a few diuretic substances such as dandelion roots. Can I lose 7lbs in 7 Days? Our answer is “Yes, but…” This means that you may lose 7lbs but that does not mean loss of real fat. It means losing excess water stored in the tissues of the body, and excess waste material. This also means that you are probably going to regain this weight in a short time. Does 7 Day Slimming Pill Cause Side Effects? 7 Day Slimming Pill consists only of natural ingredients and it is not likely to cause serious side effects. Some dieters, though, complained of tachycardia which may be a side effect of the caffeine the pill contains, while some others complained of heavy bowel movements. If you are on any kind of medication or have some health problem, you’d better see your doctor before taking a diet pill with so many ingredients, as one of them may contradict your medication or may deteriorate your condition. Is 7 Day Slimming Pill Effective? We have serious doubts about the effectiveness of this slimming product. Several dieters may think that because the product contains about 35 different ingredients it must be really effective. This is not the case though. The more ingredients a diet pill contains the more diluted its most powerful substances are and as a result, the pill becomes less and less effective. For UK residents the product is not available in high street stores or pharmacies, but you can order it directly from its official website. 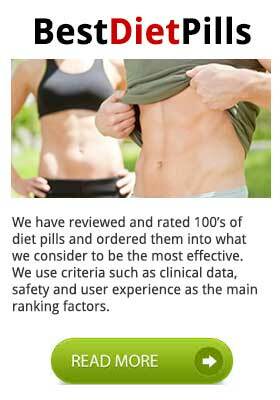 For a guide to buying the most effective diet please read our best diet pills page. Remember all our recommendation are based on criteria based on effect and company reputation. We do not condone or recommend any brand that participates in free trials.